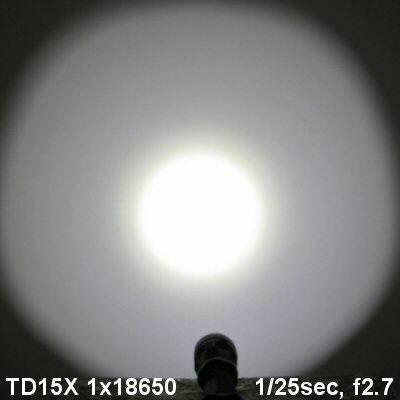 Lumintop has recently come out with a new series of 2xCR123A/1x18650 lights. 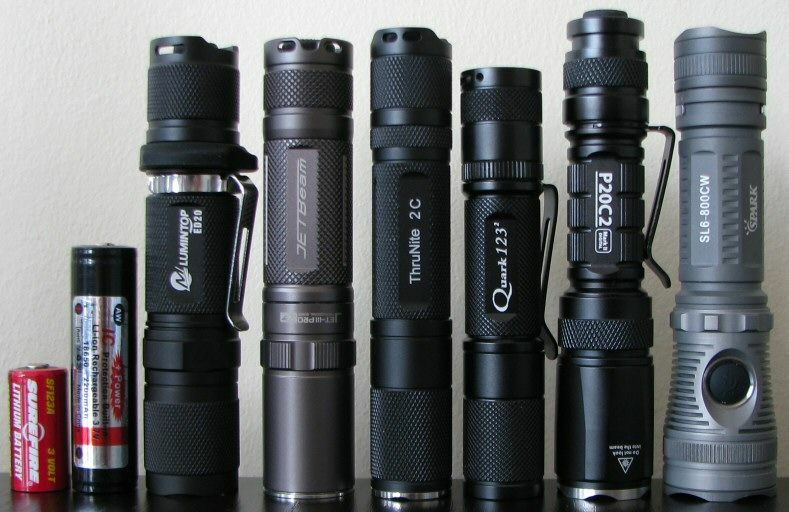 In this review, I will be looking at the ED20 – a "backup" model light. The light comes in both Cool White and Neutral White tint bins, and I will be testing both here. Coated tempered window resists impact. Aerospace aluminum body, Mil-Spec hard-anodized. O-ring Sealed. Packaging is fairly typical. Inside the cardboard box, you will find the light (with removable grip ring and clip), decent quality holster with closing flap, good quality wrist lanyard, spare o-rings and tailcap boot cover, and manual. 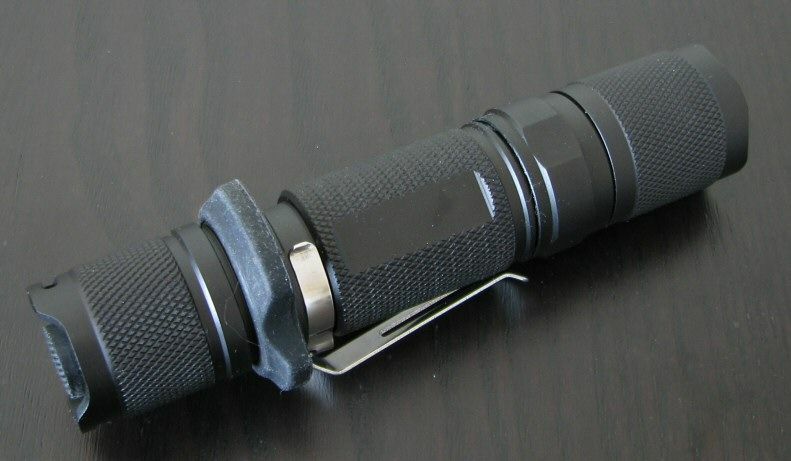 The ED20 certainly fits well into the pocketable "backup" class of 2xCR123A/1x18650 lights. Overall dimensions remind me of my old JetBeam Jet-III ST.
Square-cut tailcap threads are anodized for tailcap lock-out. Tailstanding is good. 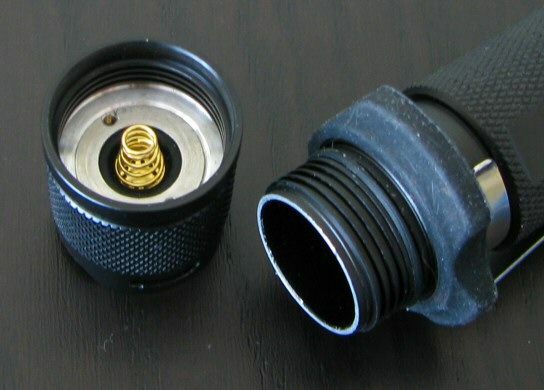 The ED20 has lanyard attachment points in the tailcap. Note there is no spring in the head, and the anti-polarity feature prevents flat-top 18650 cells from working in the light. For more information on the build and interface, please scroll down to my User Interface section to see a video review. I plan to offer these on new reviews from now on. 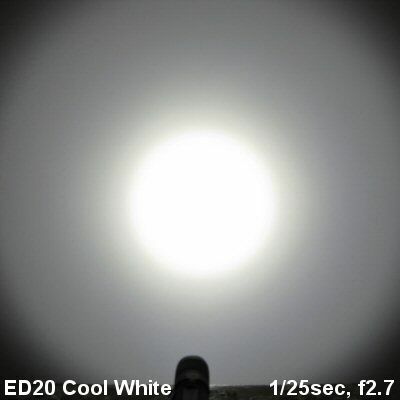 The ED20 has a lightly textured OP reflector, reasonably deep for this size light. 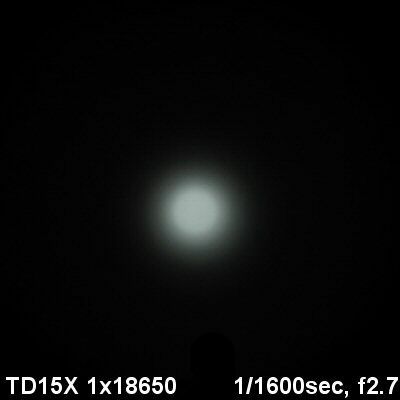 Neutral White XM-L emitter version is shown above. Emitters were well centered on my samples. 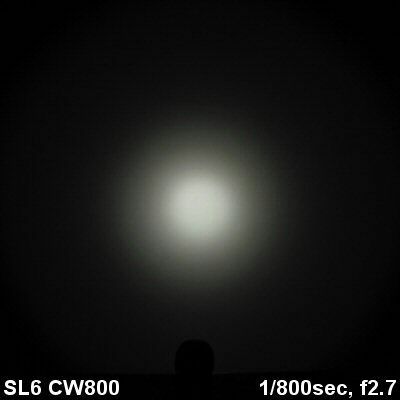 Which brings me to the white-wall beamshots. 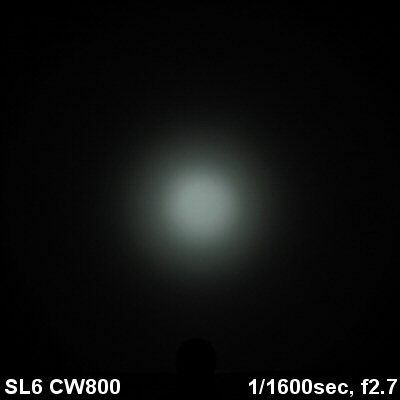 All lights are on Hi on 1x18650 (AW Protected 2200mAh), about ~0.75 meter from a white wall (with the camera ~1.25 meters back from the wall). All lights are Cool White tints below, with automatic white balance on the camera to minimize minor tint differences. 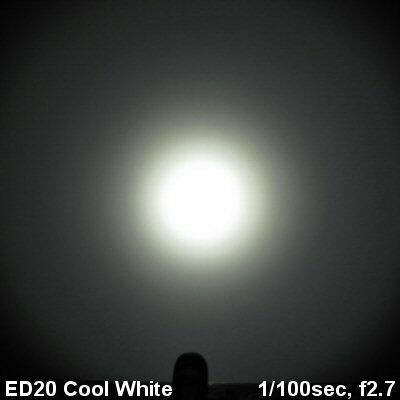 The ED20 has a general beam pattern, without a large amount of throw. The ED20 has a simple interface. 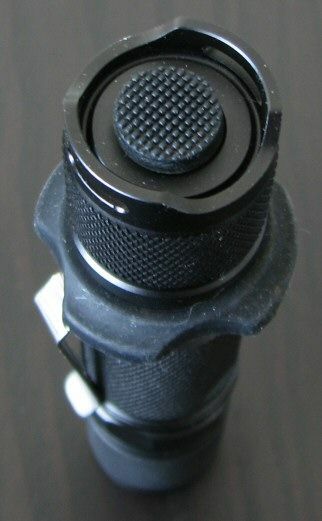 Soft-press and hold the switch for momentary mode, full-press and release (i.e. click) for locked-on constant output. To change the output mode, soft-press and release the switch while on, or click off/on quickly. 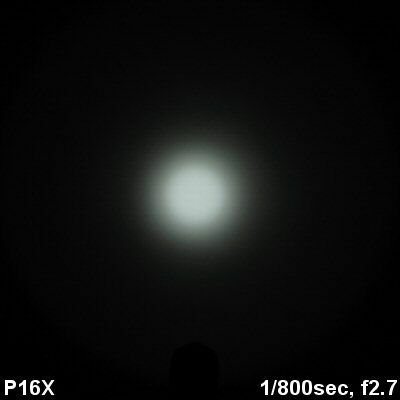 Light advances through the repeating sequence Lo > Med > Hi. If you leave it off longer than a few seconds, my samples defaulted back to Lo. But Lumintop informs me the shipping versions will have memory to retain the last setting used. I have no information about specific memory timings. Although recorded in 720p, YouTube has reduced the video to 480p max, 360p default. Once the video is running, you can click on the 360p icon in the lower right-hand corner, and select the higher 480p option. The ED20 uses PWM only for its lowest mode only, measured a frequency of 800 Hz. 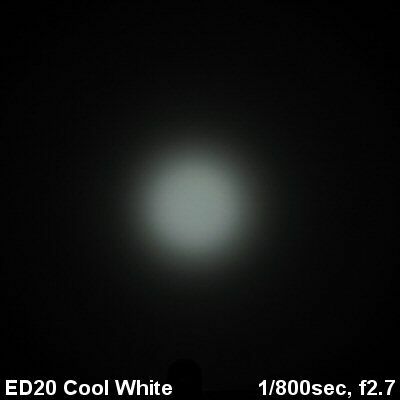 There is no strobe mode on the ED20. 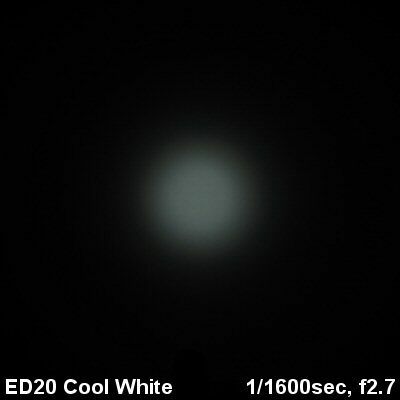 Note: Unless specified otherwise, all lights refer to Cool White versions. Neutral white is noted where appropriate. 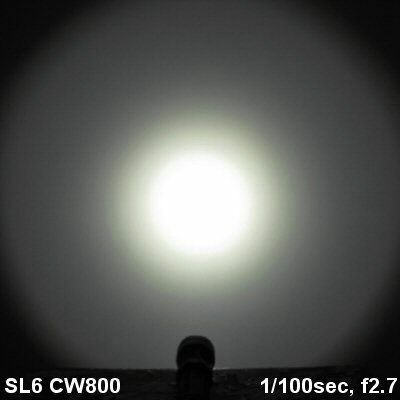 Initial max output is reasonable for a XM-L light, and comparable to other general purpose lights in this category. Throw is definitely toward the low end of this class, but entirely consistent with other lights of similar size. Note: Unless specified otherwise, all runtimes refer to the Cool White version. Like a number of lights in this class, the ED20 steps down in max output after 5 mins runtime. Overall output/runtime efficiency seems excellent, across all batteries. Although I don’t have tint output bin information, the Neutral White version was ~10% lower output than the Cool White version, with comparable runtime, in my testing. 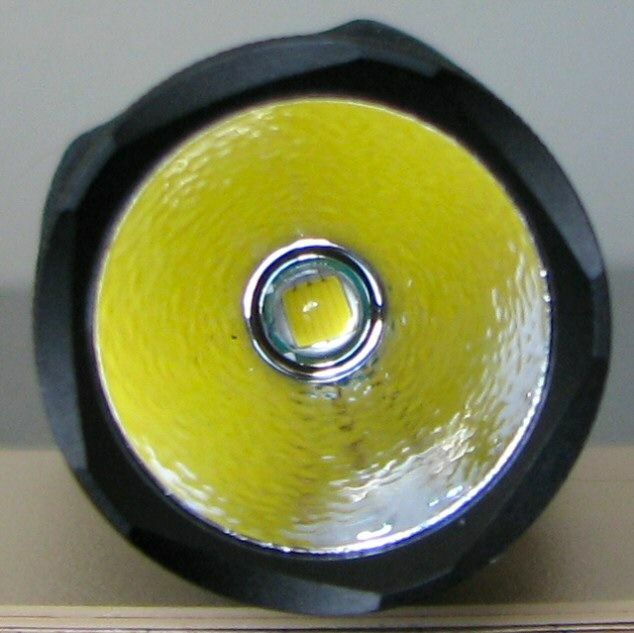 High capacity flat-top 18650 will not work in the light, due to the reverse polarity feature. 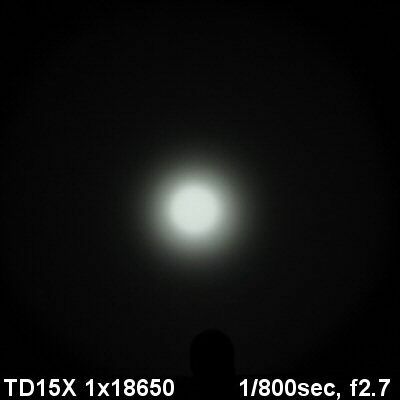 I have a fondness for compact 1x18650-sized lights, given the good returns you get in output and battery life for the size. 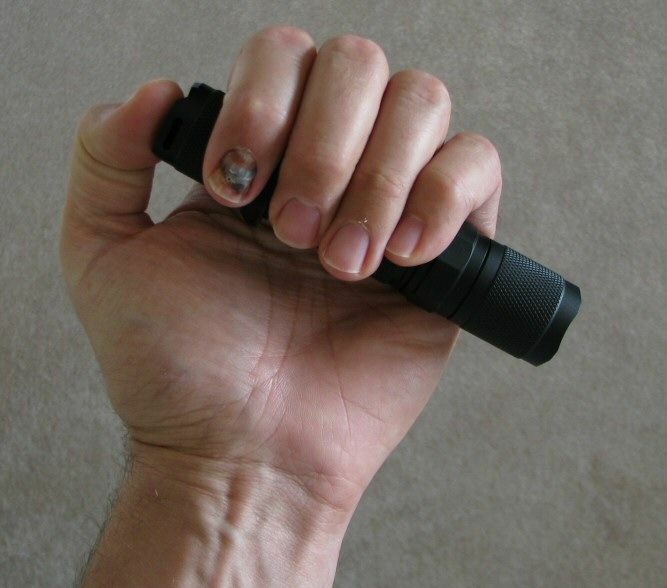 While typically not great throwers, they make good general purpose lights (e.g. walking at night, etc. ), that can still be easily stashed in a jacket pocket. 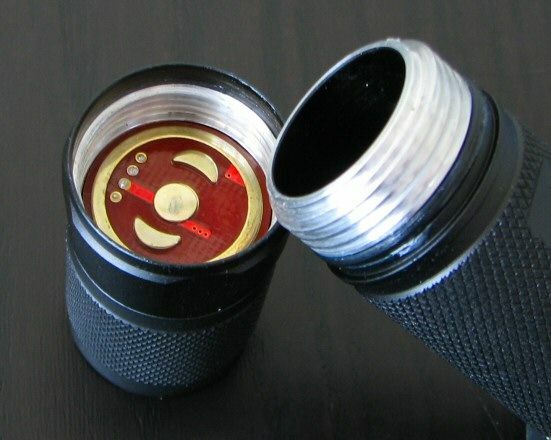 For these reasons, they may also be considered as emergency or backup lights, as the new ED20 bills itself. The overall build is slim-lined with good ergonomics (i.e. decent knurling for grip, extra grip ring and clip). That said, the build is fairly basic with no real “bling”. Despite the tailstanding ability, I still found the forward clicky switch easy to access by thumb or index finger (although it may be difficult with gloves on). 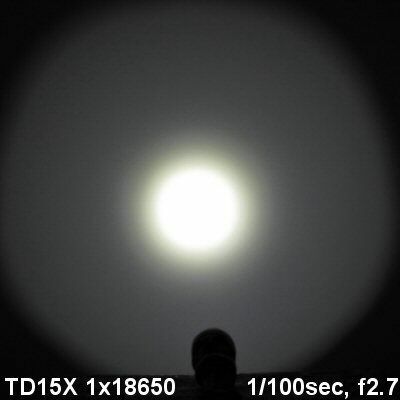 Overall efficiency is excellent on the light, with a good balance of output levels. Lumintop specs seem slightly conservative in its output specs, but quite believable for runtime (note I use the older 2200mAh 18650 cells in my testing). 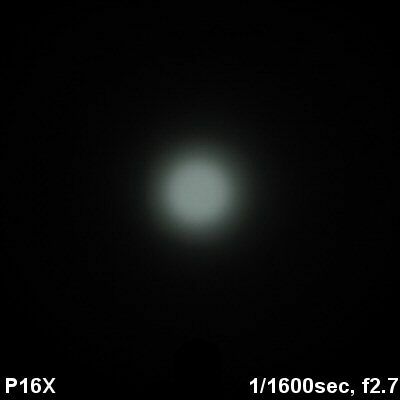 The step-down feature at 5 mins on Hi is a reasonable precaution, and one that I’m starting to see on a lot of new lights (note this is easily overcome by clicking off-on, to restore full output). 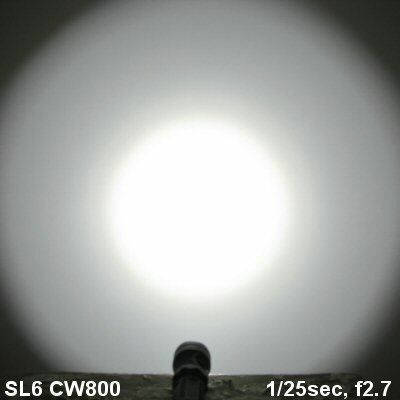 No, the ED20 isn’t a great thrower or a massively-high-output light – but it is a well-balanced general purpose light. One thing I missed on my samples was a memory mode to retain the last level set. 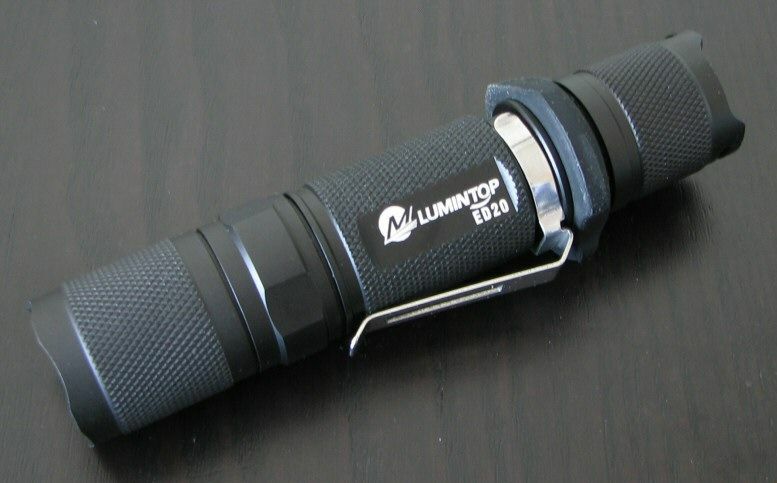 But Lumintop informs me that will be coming on the shipping versions. 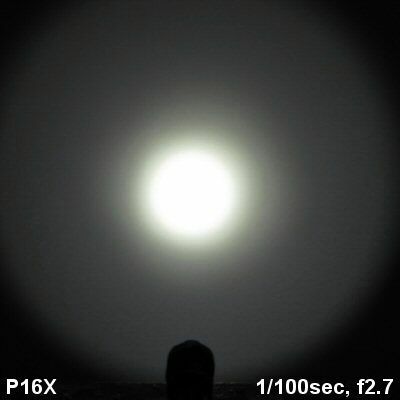 Beam pattern is smooth and reasonable for a general purpose light (i.e. reasonably wide spill). I am sure the option to purchase in either a Cool White or Neutral White tint will be appreciated here. 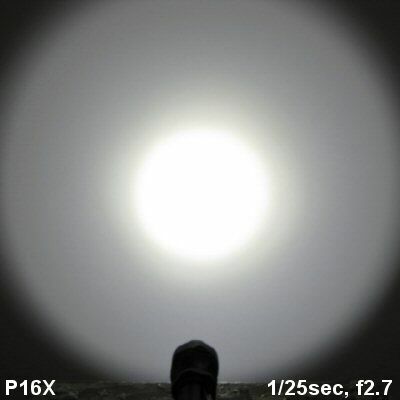 The ED20 is another strong option to consider in the compact 1x18650/2xCR123A class of lights. 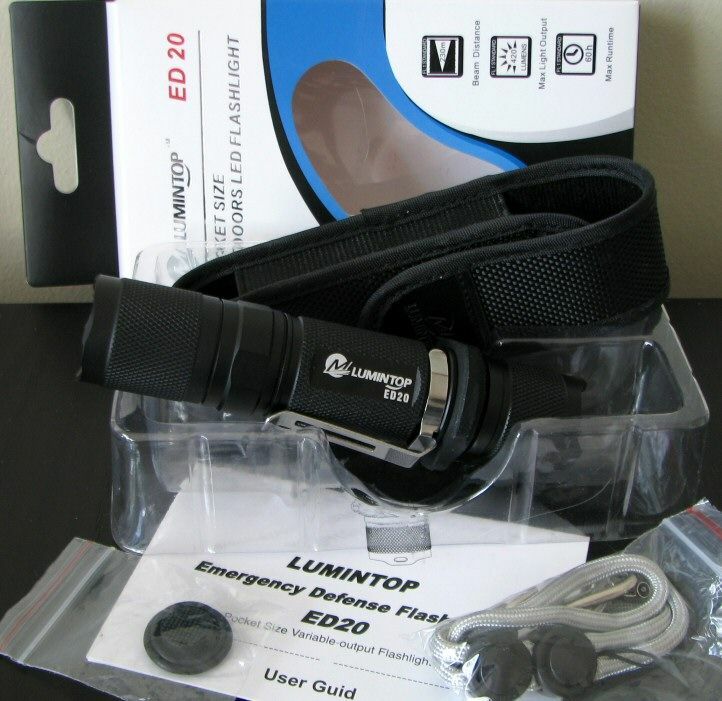 ED20 provided by Lumintop for review.